Ah, the Prison Burr, another fine creation constructed by the fine folks at Cubicdissection. Did I mention that I really, really like the puzzles from Cubicdissection? Pretty much everything I have bought from them is heirloom quality, challenging and fun! Today, I writing about the Prison Burr. This intimidating puzzle is sort of like a standard 6 piece burr, however, there is no access to the bottom of the puzzle and all the pieces are contained in a cage – which makes it very challenging indeed. This one sat on the shelf for a number of weeks as I solved other puzzles and made excuses as to why I didn’t have the time or focus to work on it. Well, I knew that eventually, I’d have to give it a go, so a couple weeks ago I sat down with the intention of solving it. The thing is, this is one complex puzzle and as stated earlier, I was intimidated. I was able to remove the first piece easily enough, but the second piece involved lots of maneuvering and every time I felt that I was making progress, I chickened out and returned it to the start. My main fear was that I’d never be able to get it back together again, and by the time I started making progress, I was too deep for my brain to remember the moves. Maybe I should just “go for it” and deal with the consequences later, but that’s not how I like to do puzzles. I prefer to keep track of the movements the first time I solve it. Later on subsequent efforts, I am more inclined to let myself get lost. Well, the day finally came, where I had enough time to really work on this thing. I was determined to move forward at all costs and get this thing solved once and for all. I have to say, I really, really enjoyed this puzzle. The movements are great, there are multiple dead ends and the puzzle stays challenging to the final piece. The first piece is rather trivial to remove, but it doesn’t help much. Removing the first piece does allow for a view of the interior, which is helpful, but the second piece is far trickier to remove. 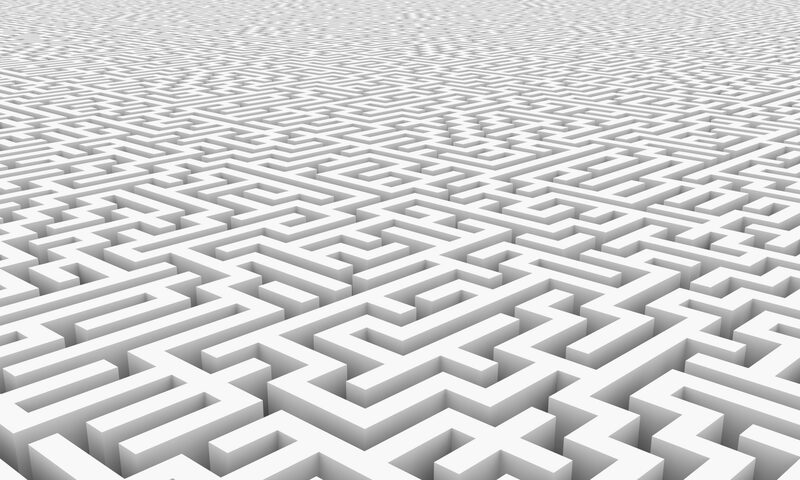 I went down many paths and found a few dead ends, but eventually felt that I was getting closer to the correct moves. After many trials, I was brave enough to pull out the second piece. Here we go! No turning back now! Removal of the 3rd piece is even trickier. Even now, I know the order of removal, but it is still awfully difficult to get that 3rd piece out. I’ve now solved this puzzle multiple times, but its always that 3rd piece that causes me grief. And to make matters worse, once the 3rd piece is removed, it is still difficult to remove the 4th. In fact, this puzzle just doesn’t get any easier. Usually, the 2nd piece is the corner stone and it all comes apart easily afterwards, but not with the Prison Burr. This thing brings it until the end. You would think that with only 3 pieces left, it would be easy, but it’s not. The final 2 pieces are definitely easier to remove, but they still take a some specific moves. The photos don’t do it any justice. This thing is built like a tank and super difficult. And then, there is the reassembly. It’s not easy. Not at all. Getting the first 3 pieces back in correctly is quite difficult – I can’t imagine solving this one without knowing the order of the pieces. Even armed with that knowledge, this thing is very challenging. Well, I’ve talked about how difficult this puzzle is, but I also was to talk about how rewarding it is. I’m really very happy with this puzzle. In fact, I have solved it several times now and while I’m getting more familiar with the necessary moves, It still gives me great joy to complete it. Part of that joy comes from the wonderful construction. At $75, this is an expensive puzzle, but if you have even the most basic knowledge of carpentry, it is easy to justify the cost. The construction of this is spectacular. Its not flashy with exotic wood choices, but the cage is a marvel of perfectly mitered pieces and where burr puzzles can be “sticky” and hard to manipulate, the movements here are smooth and precise. Overall, I am so happy to have this in my collection. This is definitely a test-piece for the savvy puzzler. I would highly recommend it if you want a challenge!